I am on a roll! Two blocks completed in one week. This is block 8, and it was far more challenging than Block 7 as far as matching up seams and making nice sharp points. I thought block 7 would be a challenge because of cutting pieces in increments of 1/16, but it actually went together pretty easily. Block 8 was a different story! The triangles go in all different directions and there are tons of seams to match up. You also have to be careful about not cutting off the points as you sew these together. 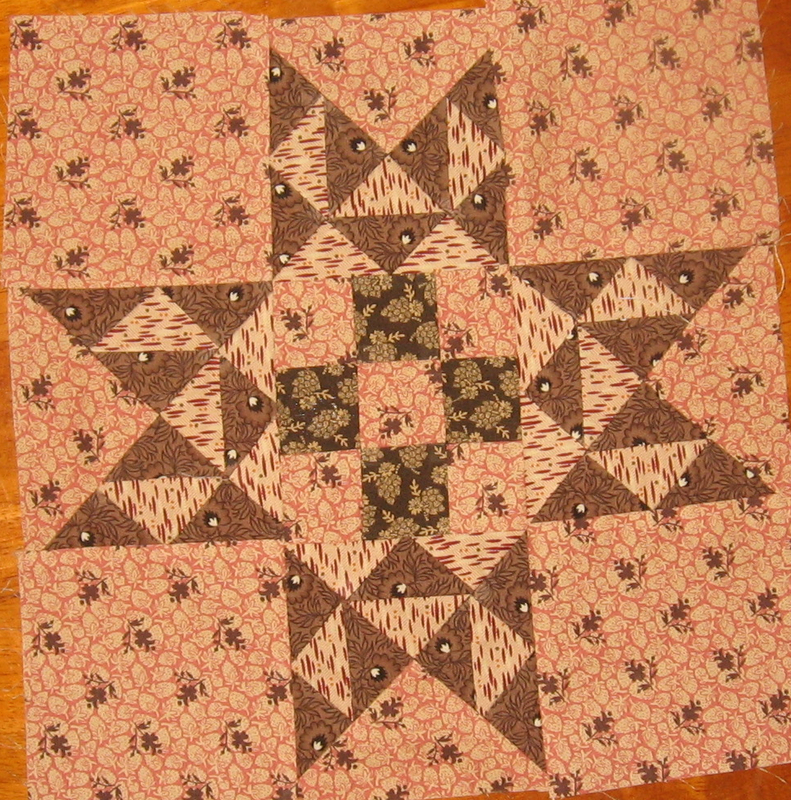 When I finished piecing this block – I was really sweating from the effort :). It turned out pretty good, even though it is slightly lopsided.